I will have to decide between the dip and the cupcakes this year. 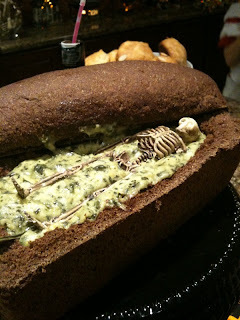 How wrong would it be to make buried skeleton cupcakes for a three-year-olds birthday? The buried skeletons might have to wait until she is a little older. You can see the tutorial for the cupcakes HERE and the dip HERE. LOVE both! But especially the cupcakes. 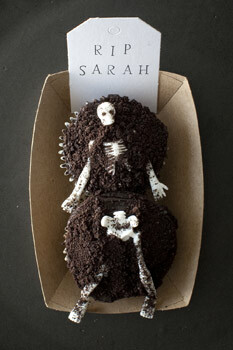 My three-year-olds would have totally loved buried skeleton cupcakes.